I’m a red-shafted northern flicker. I happened to flick through the pages of Anneli’s latest book, “Marlie.” It took me back to a time when I made a return flight up to the northern coast of BC. I flew across to the Queen Charlotte Islands (Haida Gwaii), but the weather up there is something else, let me tell you! I nearly blew all the way to China in that windstorm. On Graham Island near the fishing village of Masset, I ended up gripping a hemlock branch. 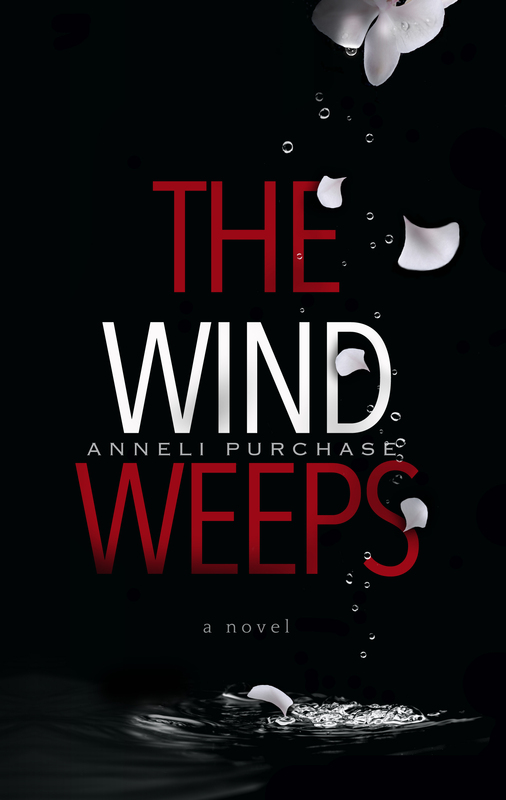 In one wind gust, a lovely lady on the cover of Anneli’s book flew by and got hung up on the branches too. Since I was already gripping the branch, I grabbed it and thought, “How fitting!” I’d read it before and it was a gripping story. When I read it, did I ever have my eyes opened. Let me tell you! Here’s Marlie, this lovely lady, newly arrived on the islands just like me, trying to make her way all by herself, just like me, and she ends up struggling not to give up on living in the new place, just like me. I flickered through some more pages. Well! This smarmy artist fellow (I’d seen him around town looking like a charming beach boy – can’t stand the type myself), came onto Marlie. She’s a looker, let me tell you! But she’s too kind for her own good. Finds it hard to say no. And when she finally does say no – screams it, in fact (I heard her all the way to my tree in the woods near the beach) – it doesn’t do her any good. But, to be honest, I wasn’t sure they were suited. Marlie’s politics are a bit left-wing (government job, you know) and this fisherman, Brent, I’m sure is far right, being in business for himself. You never know, though. They say opposites attract. “I’ll fly over to his fishboat in the Masset harbour,” I imagined telling Marlie, “and sit on the crossbar of his mast. I’ll get his attention, doing what birds do in the rigging. I’ll drop some ‘e-mail’ down to him and when he looks up, I’ll tell him about you. Maybe I’ll drop the book cover image down to him so he can see how pretty you are. By the way, you lovely followers of Anneli’s blog, if you need a book to read during Christmas break (or any time) you can find Marlie on amazon (just type in the title) and on smashwords.com if you have an e-reader other than Kindle. You will love it, let me tell you! And so inexpensive. Less than the price of a hamburger, but fifty times as good, it lasts a long time and not on your thighs either. Thank you all for indulging me. My book is just out and I’m a bit excited about it. I won’t hit you up about it all the time. I think I’ve got that out of my system now – for a while anyway. I wish all of you a very happy Christmas season and hope 2018 is good to you. See you in the next year or maybe sooner. Categories: Animals, B.C. coast, Birds, British Columbia, Commercial fishing, Douglas fir, Queen Charlotte Islands, Red-shafted Flickers, Writing | Permalink. Thanks, Terry. All the best to you too. Looking forward to a new year of blogging and doing fun things. Congratulations Anneli. You should be excited. Incredible accomplishment. Merry Christmas. Thank you, DK. It is the best part of the book-writing process when you hold the first book hot off the press. Somehow this one is particularly dear to me. All the best to you and your family. Have a great time over Christmas. I just hope that my exemplar doesn´t get caught by a fir branche on the long way to here! Have a lovely Christmas all of you out there. I’m sure your copy will be in good shape, if they wrapped it properly. The one this flicker read just blew in on a southeaster. Marlie didn’t even have time to put a jacket on. Thanks, Jill. Have a nice Christmas yourself, and I wish you only good things in the new year. I’m so glad the flicker told us about your book. I flew over to Amazon, and Marlie is now in my Kindle. My gift to myself. The cover is gorgeous. I love it! Merry Christmas and huge congratulations for the accomplishment of publishing another book! I just saw this comment and it looks like I didn’t answer it. I’m so happy you flew over to amazon. I’m sure the flicker knew the way. He’s been there often. I appreciate your comments because you know the sweat and blood and sleepless nights it takes to get a book to this stage. All the best to you, Pam, and thank you for buying my book. Hi Pit, I suppose your snow is gone now that you would like it for Christmas? But whatever the weather is doing, I know you’ll have a happy, cozy Christmas, if your blog video clips are any indication. It looks so festive and lovely. All the best! You’re right: no more snow in the offing. It looks like cold [well, night freezes] but sunny weather for the holidays. What a beautiful introduction to your new book. Congratulations! And Merry Christmas to you and the Captain. Thank you, Gladys. Have a wonderful Christmas. All the best in 2018. That birdie is a great marketing gal!!! Haha. Does that mean my book is for the birds? But the flicker does a good job of getting right into the story, doesn’t he? Thanks for indulging me once again, Belinda. All the best to you for the holidays. Merry Christmas Anneli and all the best! I am glad I found your blog! All the best for the new year, Juli. I’m glad you found me too. Thanks a lot, Robin. That will help me to get the word out. I really appreciate it. Happy New Year to you too. Good choices, Robin. I’ve read John’s book and it;s a page turner. You’ll have good reading while the weather keeps you inside. Thank you so much!! Please tell your friends. I will pass on the word on my blog, once I finish each book. I will make sure to tell my local friends! Thanks, Robin. That’s kind of you. It is what friends do, Anneli. Oh! I just noticed this lovely, new post! So nice to read it from a birdie. I will definitely check out your new book. Congrats!!!! And Happy New Year, new virtual friend! Thank you, Cathi. I hope you’ll enjoy it. I will buy your book and read it, since it is on Amazon now! Yay! Yes, I did. Thank you! And thanks, Robin, for reading my book. I hope you’ll enjoy this adventure to Haida Gwaii with Marlie.